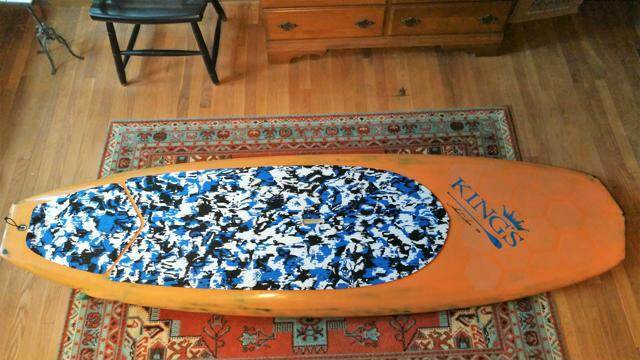 Last summer I worked with Dave Daum at King's Paddlesports on this custom Punisher. 8'8" x 30.75" x 3.75" x 110 liters. Carbon and glass. KTM orange. Subtle chine rails to tucked soft edge to hard edge starting before the fins. Wide channel in nose (similar to my JP Slate) feeding to single wide concave to slight vee through the fins. We spent a lot of time discussing the tail. I loved the way my single bump square worked on my Accelerator and insisted that was what would work. We fussed on the depth of the wing and the width of the square tail. It works. 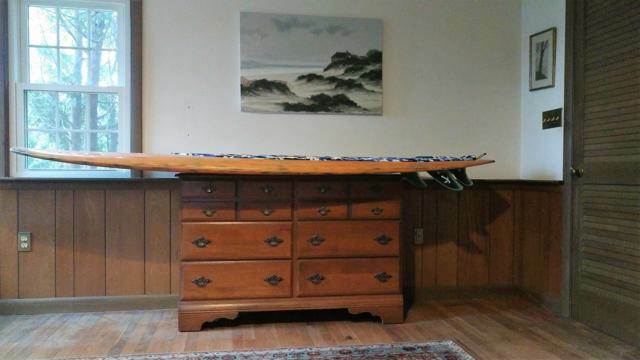 Have ridden it in large OH hurricane swells and one foot mush. The elusive balance between fast and loose is right there. Another incredible board from Dave Daum and King's.